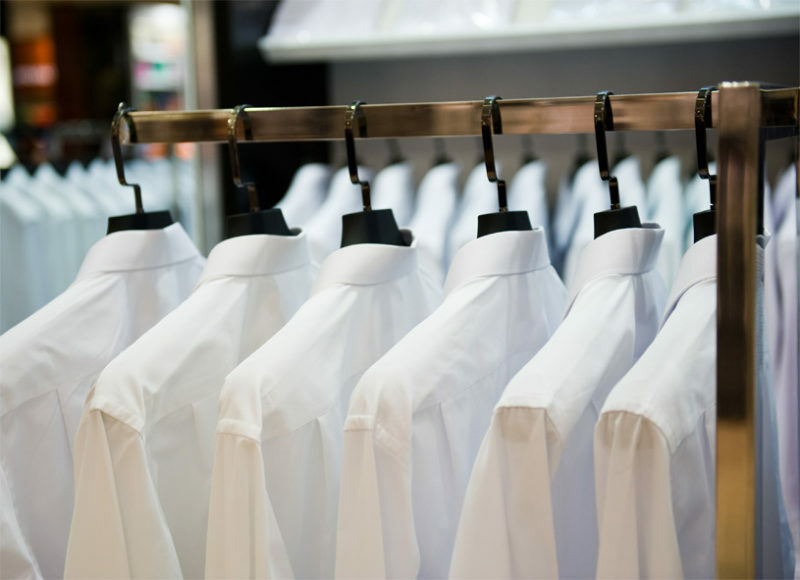 Bellgrade Dry Cleaners has been Richmond’s neighborhood cleaners since 1989, always striving to provide excellent service with a quality cleaning at a reasonable and competitive price. 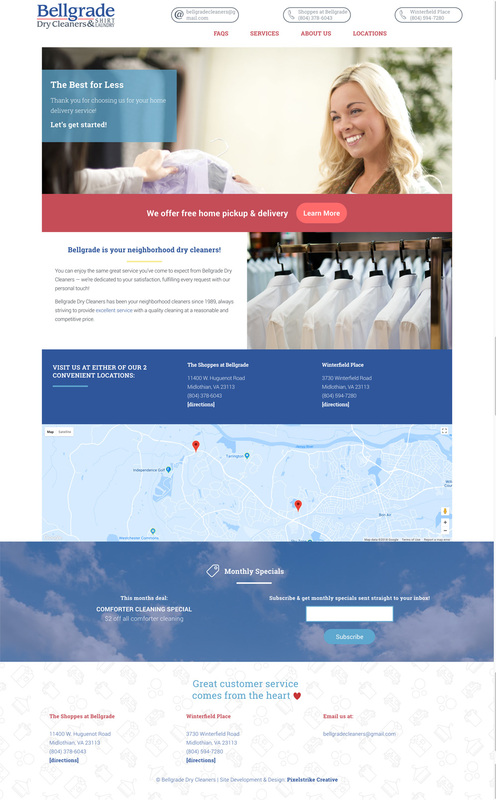 In 2018, Bellgrade Dry Cleaners transitioned to new ownership, and the Pixelstrike team was tasked with designing and developing a website that would reflect the new direction of the brand. 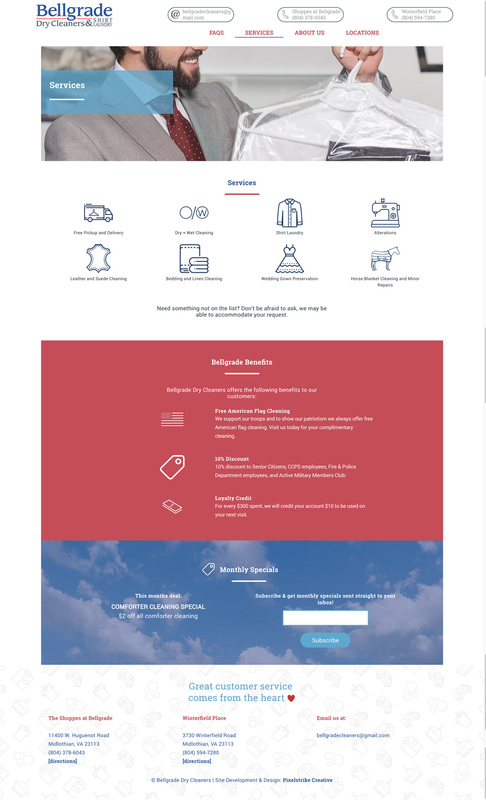 While keeping the existing logo, we were able to update and modernize the style of the website. In the development process, we built a custom WordPress site that would allow the Bellgrade staff to make necessary changes to their monthly specials, with little knowledge of web coding and also integrate with their existing email sign up form to market their monthly specials.